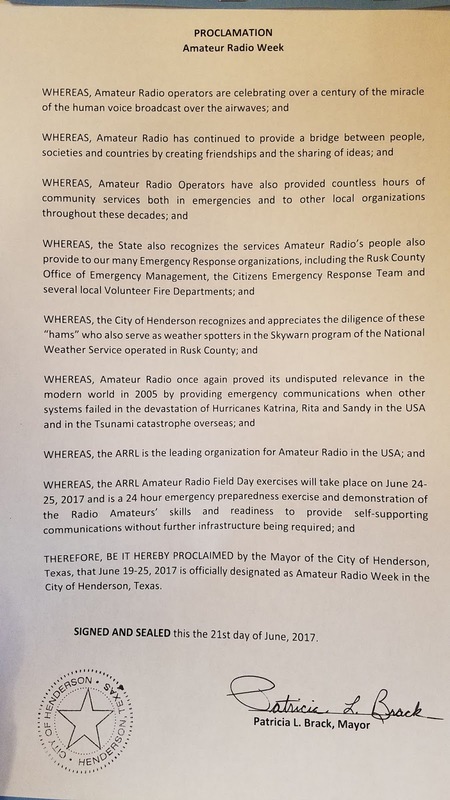 Henderson Mayor Pat Brack proclaimed June 19-25 Amateur Radio Week during a ceremony at city Hall Wednesday. RCARC President Kieth Ballow, KN5G, was on hand for the recognition and thanked Brack for the city's support. 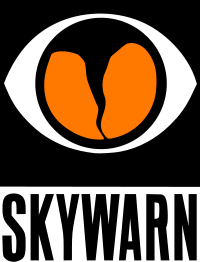 The proclamation recognized local hams for their efforts in emergency communications, storm spotting and disaster preparation. The mayor noted how local amateurs have contributed to making Henderson a safer community. 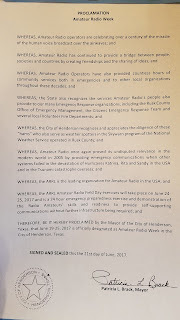 The proclamation comes in advance of Saturday's annual Field Day exercise where local hams will operate a special station at the Rusk County Courthouse. Field Day is a national exercise involving thousands of ham across the country. It runs from 1pm Saturday, June 24th through 1pm, Sunday June 25th. The public is welcome to stop by and learn more about amateur radio.